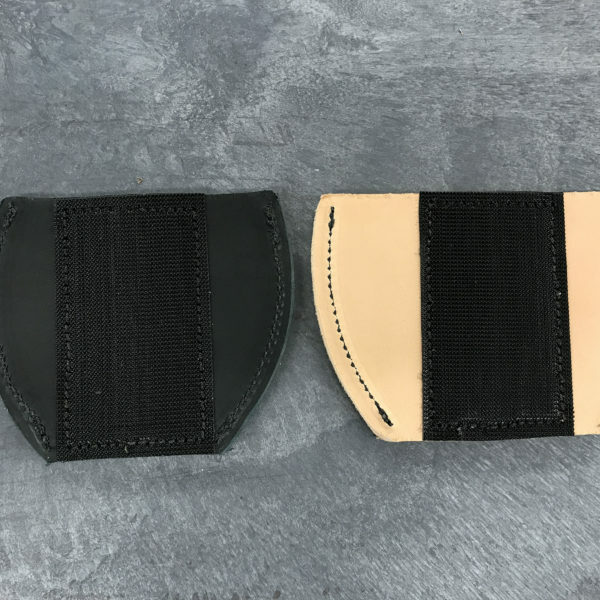 Ukoala universal holsters are design for concealment of the weapon in the Ukoala Bags. 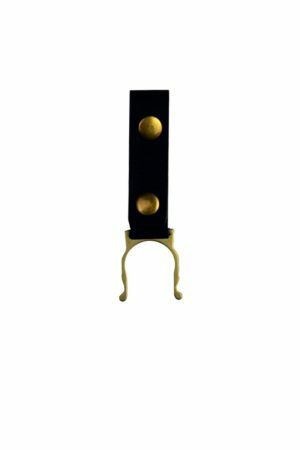 Each universal leather holster has 2 wide large strips of heavy duty industrial strength Velcro. Each strip can with hold several pounds of pulling. 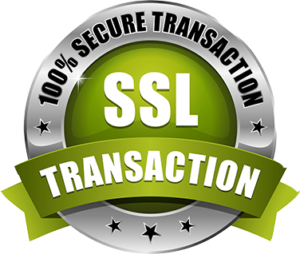 Therefore, functionality is prestige in each and every holster. Ukoala leather holsters is crafted and engineered with all USA made materials. 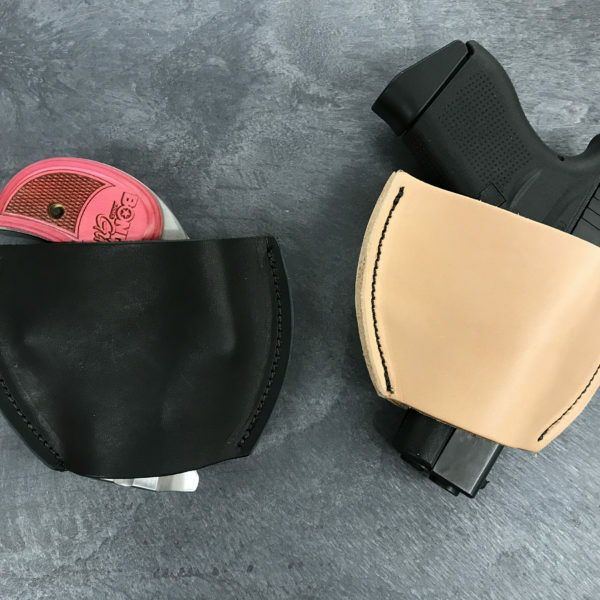 **Please call if you are unsure about the size of holster that you may need for your weapon (336)879-2166. 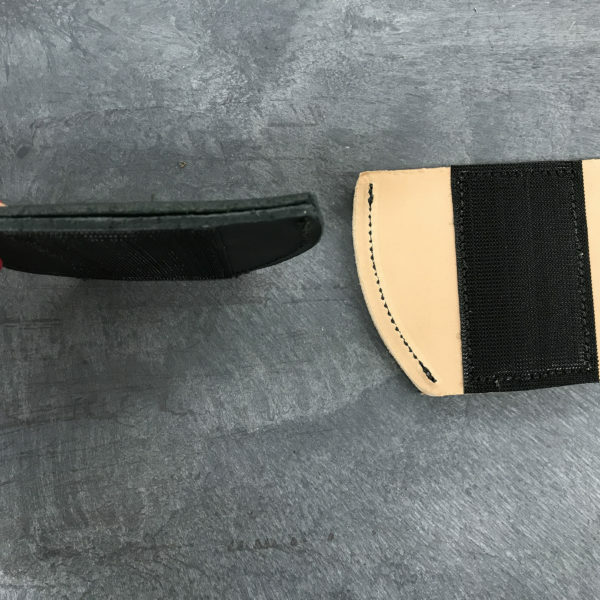 Once you find the correct position of the holster and weapon in the Ukoala Bag, Practice drawing the weapon from the holster in the Ukoala Bag several times until you feel comfortable. 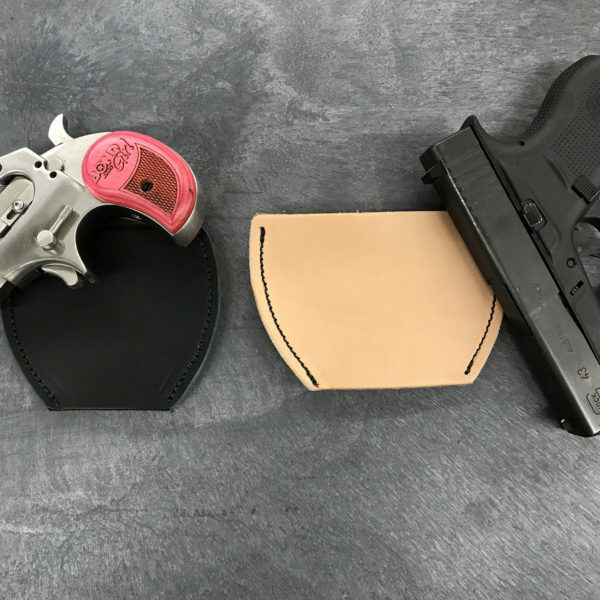 Keep in mind that since the holster is universal, the weapon may not be easy to re-holster. The intention of the universal holster is to secure the weapon in the Ukoala Bag without going off. keeping the trigger secure and covered at all times. Once the holster is broken in to the weapon of choice, you may see indention marks of your weapon. This is the first step in the natural process of molding the weapon to the leather holster for better retention. If you are going to be wearing several different weapons in the holster, than that is fine. 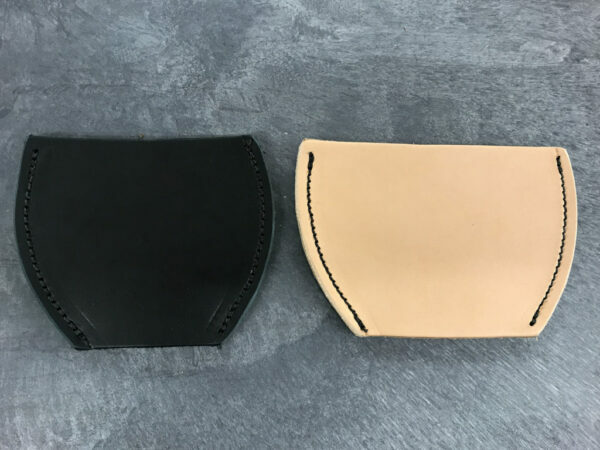 The natural molding process may not be as accurate, however the fitment and function of the universal holster will be the same. 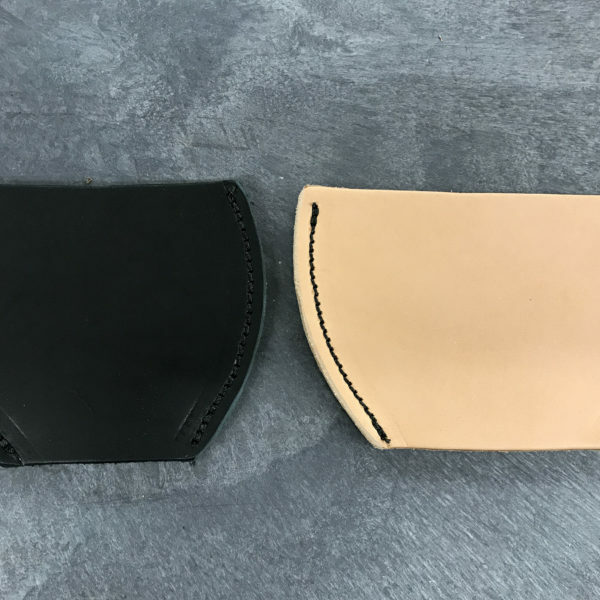 When you are comfortable drawing and weapon the unloaded weapon in the holster in the Ukoala Bag. Than you can load your weapon and begin carry your weapon. Keep in mind of your carry laws in each state. Carrying the weapon in the bag is considered concealed carry. 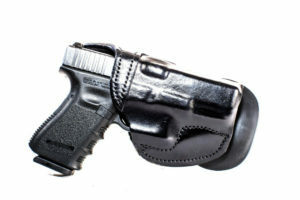 This is also a GREAT holster for range bags, pistol bags, safes and vehicle. You can insert the opposite Velcro strip to a vehicle to attach the holster.